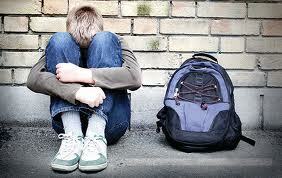 One of the biggest problems we have in schools is bullying. Thankfully, we have a week every year focused on the impact of words in our communication. During Words Matter Week, we need to consider the importance of our words in our day-to-day lives. This isn’t about of talking just to talk, this is about carefully crafted language. Words Matter Week is a time to focus on banishing grammatically incorrect and hurtful words from our written and spoken communication. The quote for Words Matter Week 2015 is simple – “If you wouldn’t write it and sign it, don’t say it”. Words Matter Week is celebrated annually, with celebrations held online at www.WordsMatterWeek.com and at libraries, bookstores, and schools nationwide and is sponsored by the National Association of Independent Writers and Editors (NAIWE). If you would like to learn more about Words Matter Week and what you can do to prevent bullying, contact Simple Acts of Care and Kindness at 866-459-7225 or visit www.simpleacts.org for additional information. This entry was posted in Advice, Anti Bullying, Be Kind, Bullying, Cyberbullying, Kids, Prevention and tagged advice on bullying, anti-bullying, Be Kind, bully prevention, bullying, bullying pervention, children, Cyber Bullying, Intimidation Bullying, mean girl, prevention, school, Social Bullying, Stop Bullying, stopping bullying by admin. Bookmark the permalink.